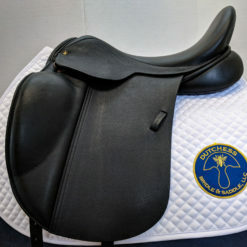 The Smith-Worthington Maxx Combined Training saddle is centered and well-balanced, designed for the rigors of cross-country. 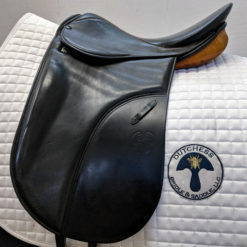 Ideal for combined training/eventing as well as pleasure, trail riding, and cross-country hacking. 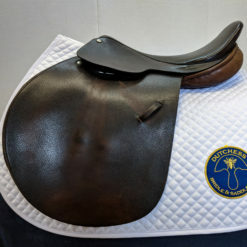 Attractive and pliable two-tone, durable pigskin print leather with grippy suede knee pads. 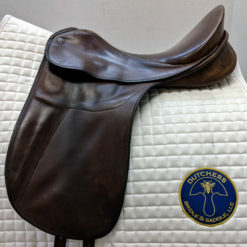 This saddle is in excellent condition and has been lovingly maintained, with only a minor scuff at the top of the cantle (see photos). 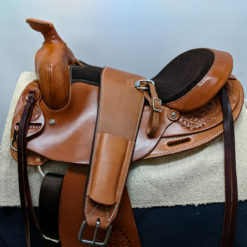 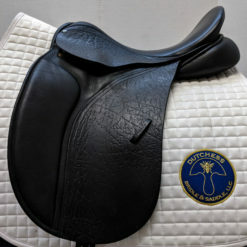 HORSE FIT DESCRIPTION: This saddle would fit a medium-wide, well muscled A-shape withers without hollows behind the shoulders and has a moderate to level back. 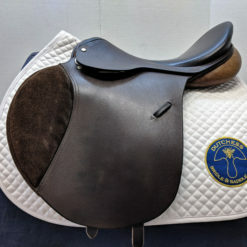 RIDER DESCRIPTION: This saddle is a great choice for the rider who prefers a moderately deep seat with a forward flap for over fences work. 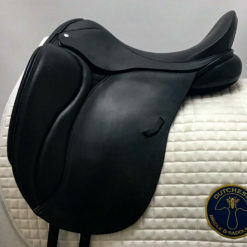 Supportive front and rear blocks help with lower leg security. 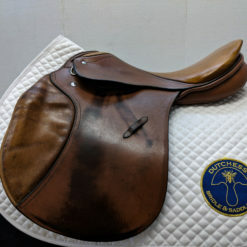 A great choice for cross country, hunter paces, fox hunting or hacking!